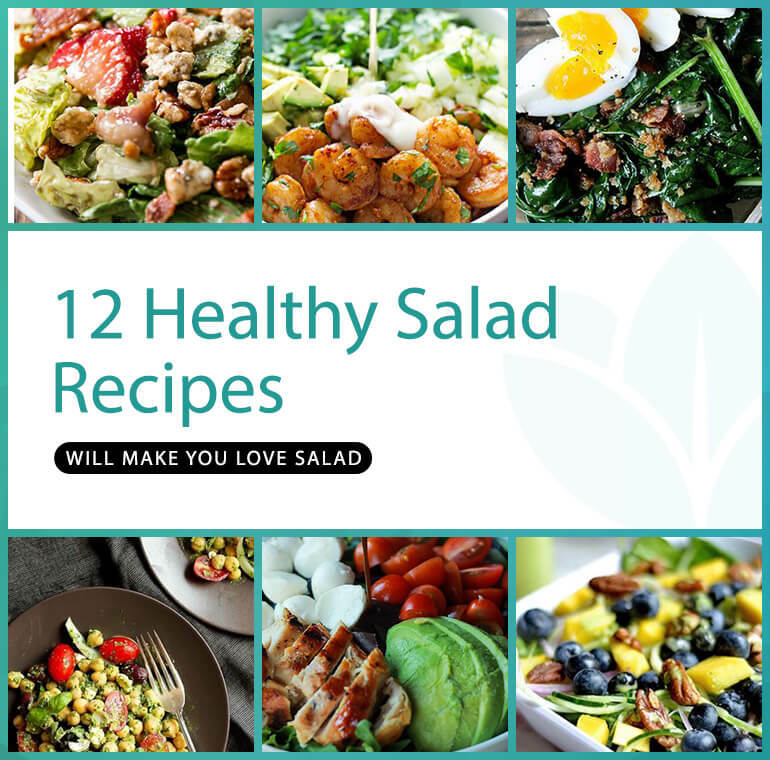 The salad is full of vegetarian protein, mediterranean flavors, fiber and flavor. 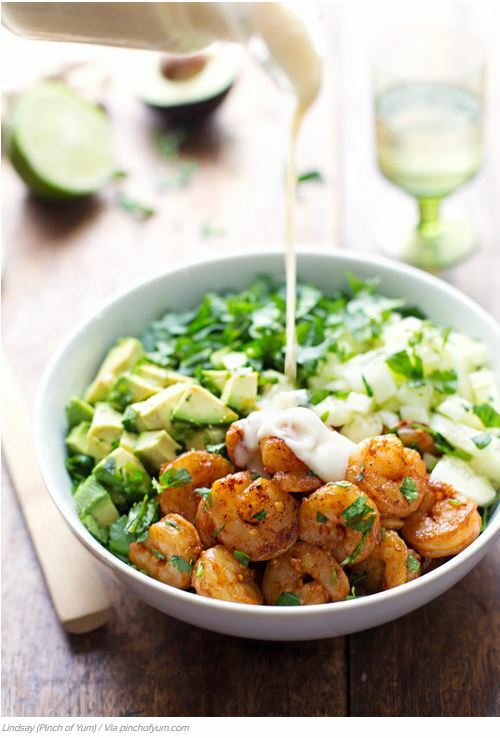 This recipe is so delicious you’ll want to have it for lunch AND dinner… and perhaps breakfast too. Are you craving for something crunchy and sweet? 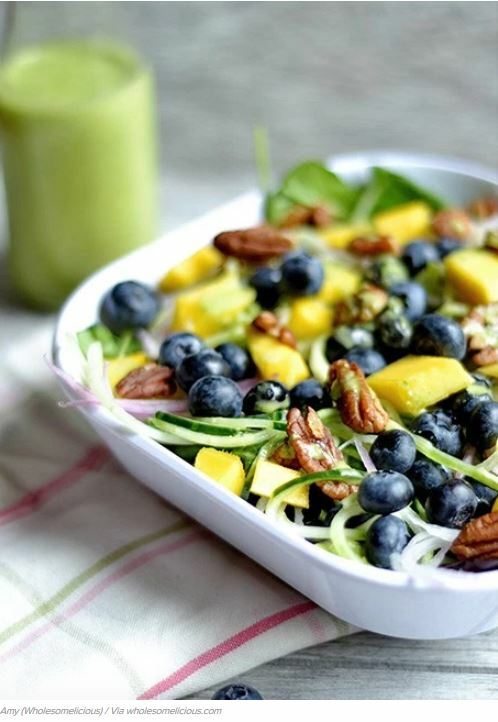 Well, get your fix with this recipe which includes a combination of blueberries, mangos, onions, cucumber and chopped pecans. 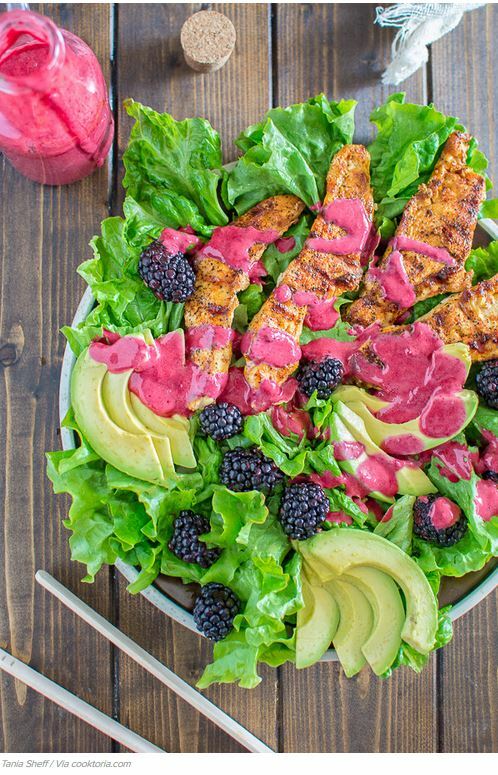 Delicious combination of creamy avocados grilled, paprika chicken, fresh lettuce, blackberries and topped with tangy blackberry dressing. 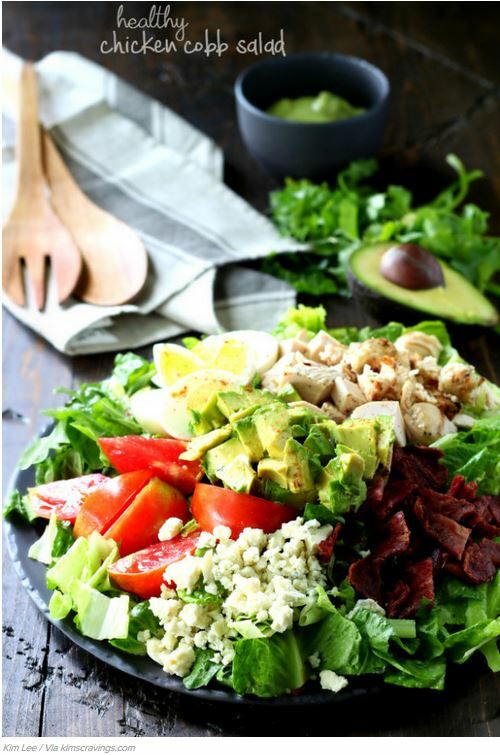 A classic cobb salad, but healthier with organic, all-natural, lighter ingredients. 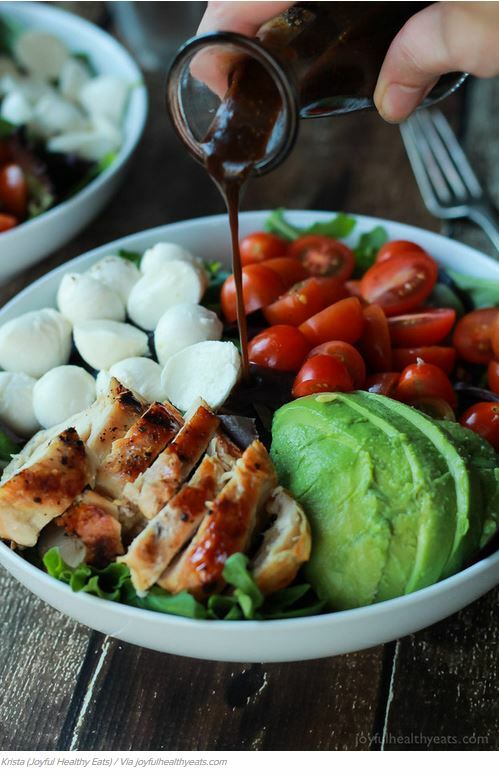 Dressing changed to a creamy avocado dressing. 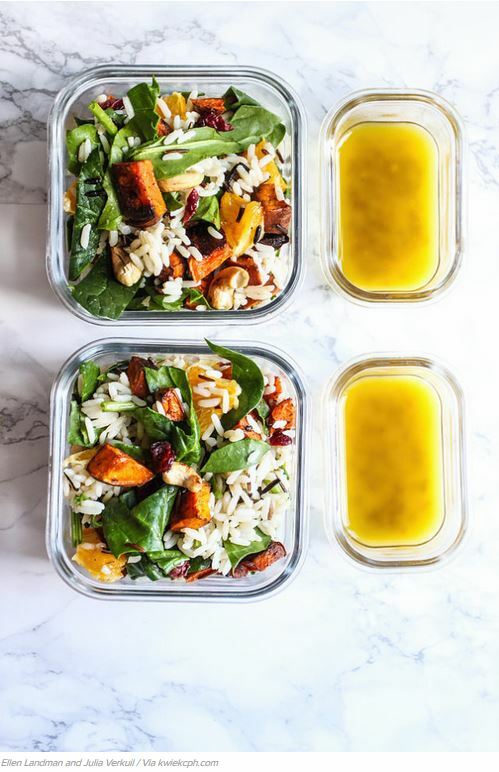 Prep time is only 20 minutes. 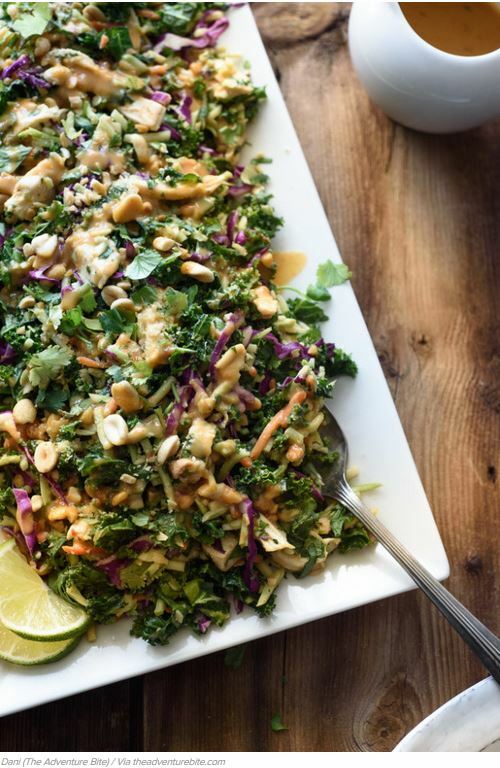 This Thai Chicken Salad recipe is packed with peanut flavor, texture and veggies. Awesome peanut filled flavor but way better for you. Asparagus is one of the most nutritionally well-balanced vegetables. 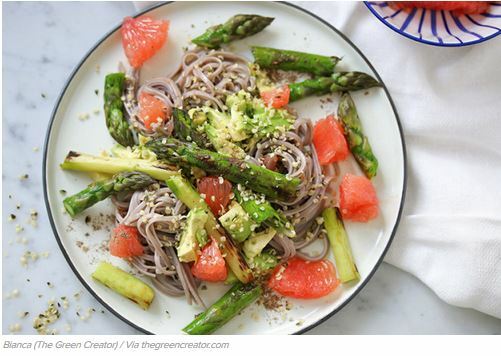 It is high in folic acid and a good source of potassium, fiber, thiamin, and vitamins A, B6, and C. Combine roasted asparagus with the freshness of pink grapefruit, creamy avocado and a hint of nutmeg. Did you know avocado is considered a superfood? Nutrients found in avocados such as Oleic acid, lutein, folate, vitamin E, monounsaturated fats and glutathione among them – can help protect your body from heart disease. 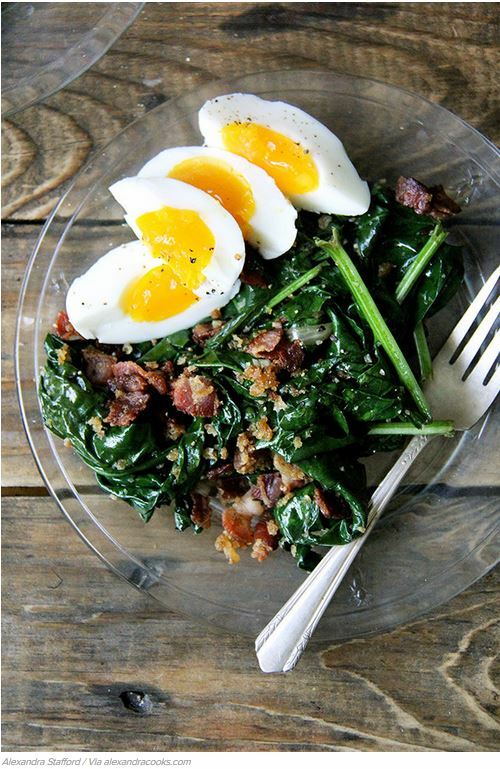 This recipe brings the classic bacon and eggs together along with spinach. 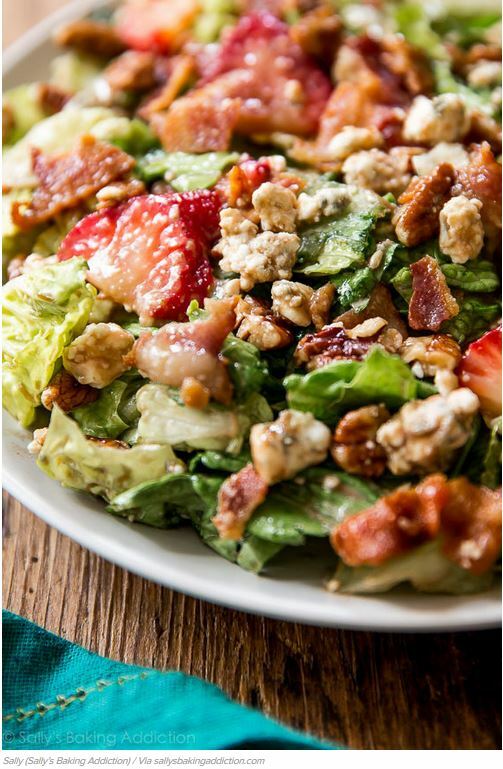 A salad which doesn’t make you feel like you’re eating salad. 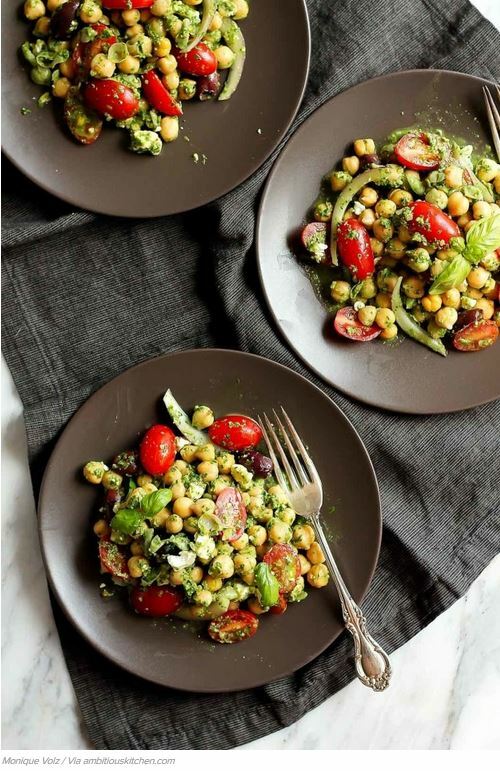 This is one of those salads that’s not only perfect for entertaining, but for a quick weekday lunch or a light dinner. This recipe goes great with brown or wild rice. Cooking times varies, depending on which rice you use. 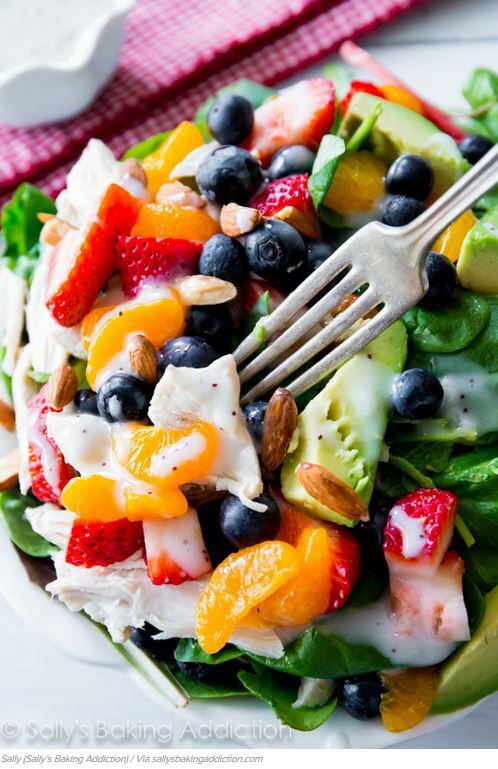 This colorful, healthy strawberry almond chicken salad combines juicy berries, crunchy almonds, creamy avocado, chicken, and homemade poppy seed dressing.The best part is, it only takes 10 minutes to make.